Hi everyone, Kirsten here. Yes, it's been a while, what with one thing and another blogging just got away from both Lisa and me. Thank you so much to Jan and Martina, who kept things going for us. I'm going to do some catch-up posts over the next few weeks, which will hopefully bring us to the next Maidstone classes on October 27. 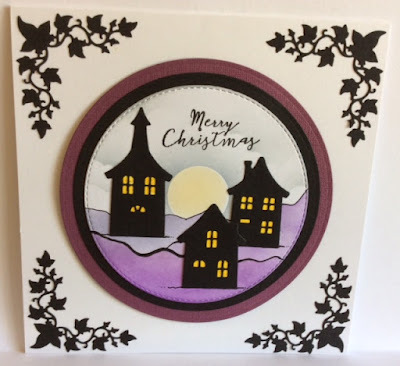 These cards are based on the September class projects, you can see the cards made by our ladies in this album on the Lisa B Designs Facebook page. 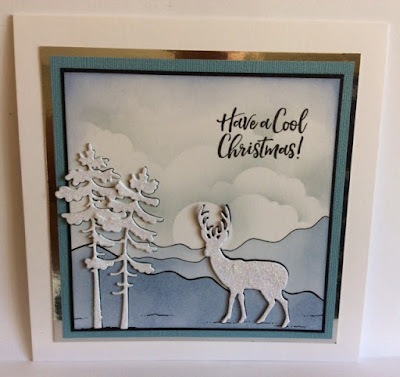 I used Versacolor inks - they blend so well! - to create simple backgrounds with templates cut from the Leane Creatief Houses, Clouds and Mountains cutting die set. 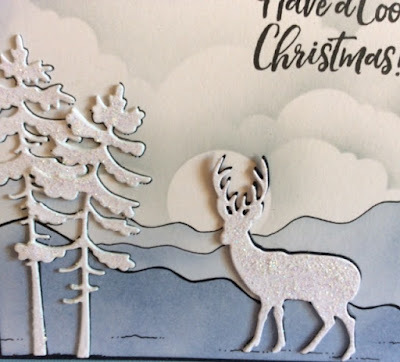 The tress are the Happy Holidays Pine Trees by Joy Crafts and the deer is from the Marianne Designs Tiny Deer cutting dies set - I added Diamond Sparkle Medium to the trees and deer. 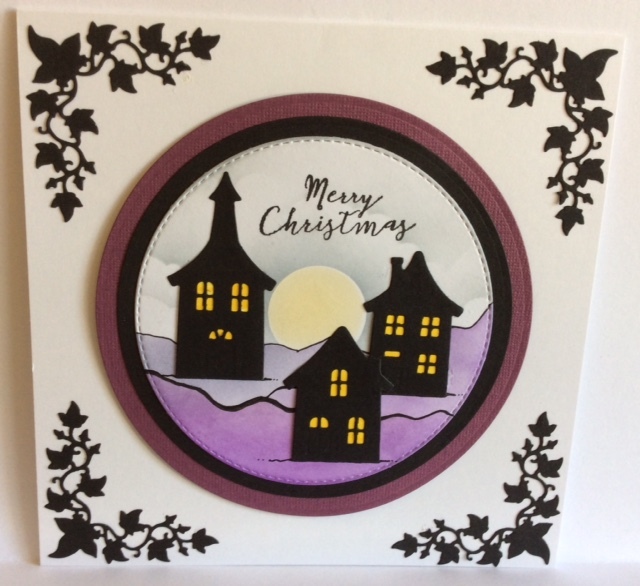 These are the Leane Creatief houses and the ivy pieces are Marianne Designs Ivy Corners cutting dies. 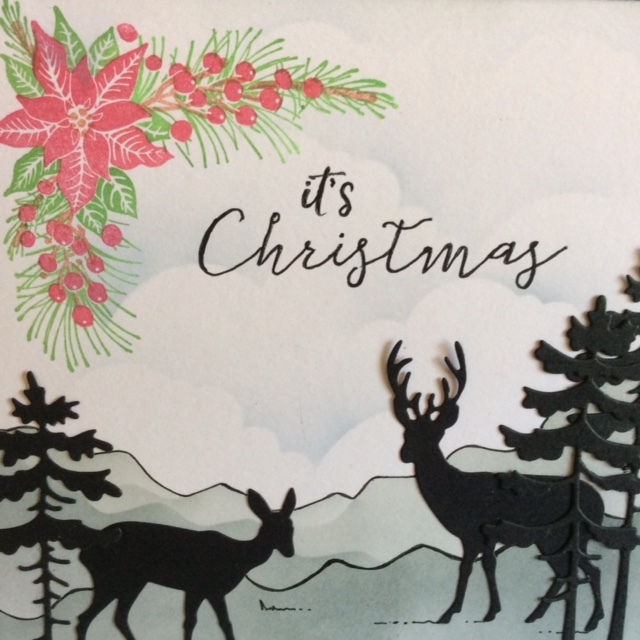 The stamped image on this card was used for the class projects. It's Christmas Corner 1, a set of three layering stamps by Nellie Snellen. Again, I used Versacolor inks. 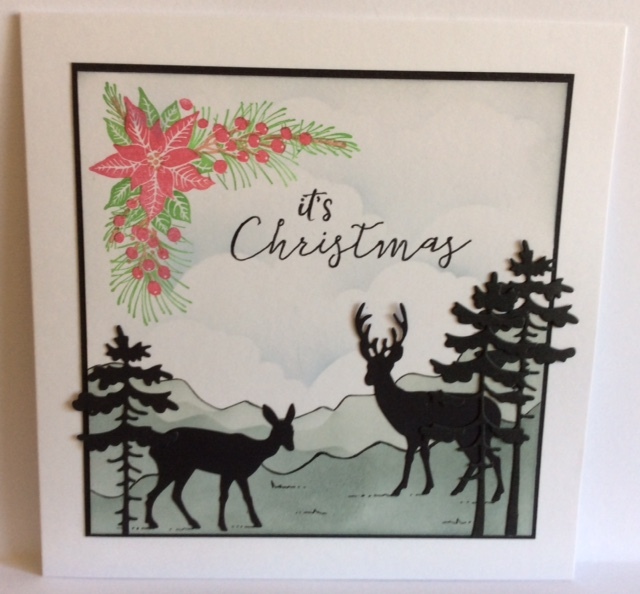 That's it for now, I'll be back soon with more of my recent Lisa B Designs projects. The next Grove Green workshop is on Sunday, October 15 and it's all about Imagination Crafts' fabulous Rusty Patina. Click for info and booking details.